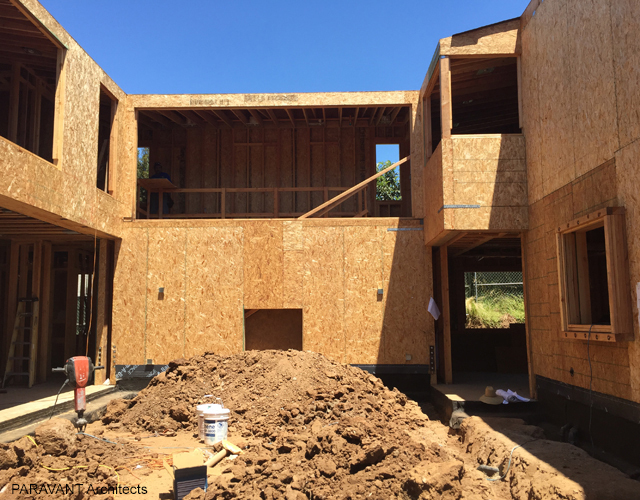 The framing of a new single family residence located in the Pacific Palisades/City of Los Angeles, California in collaboration with RIMA Design Build is almost complete. The Court Yard House in the Pacific Palisades is moving swiftly forward. 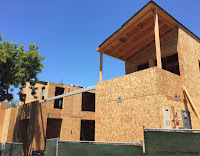 Currently contractor Winters-Schram Associates is framing the second floor of the building. 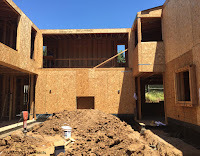 Construction started on a new single-family residence located in the Pacific Palisades, California. This new court-yard house project is a collaboration between RIMA from Los Cabos, Mexico and PARAVANT Architects, Culver City, California.